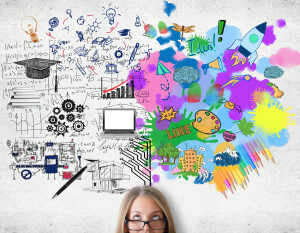 As a creative entrepreneur, you may have so many juicy and inspiring ideas that it can be difficult to get organized. I get it … being in your flow is an incredible state of being AND there is a finite amount of time and space to accomplish it all! So why not get some support from a virtual assistant (VA) who can help put your ideas into action? How do you know when it’s time to outsource some of your work? Do you recognize yourself in some of the above? Congratulations, you are a beautifully made, creative entrepreneur! Confused about where to start? What to even think about outsourcing? I’d like you to keep a notepad with you for the next week. On a blank page, write at the top “Magical Outsourcing Help.” As you’re working on things, pay attention to where you get stuck in your work, where things are taking you way longer than you anticipated, and write those notes down. At the end of the week, review your list and start talking to people about what you’re looking for. Once you’re clear, go ahead and post in FB groups or reach out to other entrepreneurs who are already working with a VA. They may have some referrals for you! However, there are even more things that you can get support around with VAs that have other specialties including admin, graphic design, bookkeeping, presentations, etc. It’s important to find out what they love to do and ask them to focus on that. “How to Hire a VA” and “How to Outsource to a VA” are topics for another time… Have you ever outsourced work before? If not, what’s keeping you from getting the support you need? I’d love to hear in the comments below! Leslie Rivera is the founder of The Artful Business Manager http://artfulbusinessmanager.com/, and she’s been working with heart-centered, creative entrepreneurs for the past 4 years. She has a great love for marketing, which allows her to blend creativity with marketing and technology. When she’s not working, you can find her in Rocklin, CA with her funny husband and passionate toddler girl.